In our ever-increasing pressure-filled and competitive workforce, most business philosophies have been about nose to the grindstone. "Get 'er done, whatever it takes!" has become our daily mantra. But is pushing everyone harder truly the best path to productivity? Does a stressful culture equal a successful company? The alarmingly low employee-engagement numbers would say no. 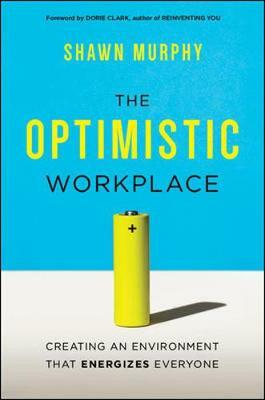 Supported by the latest research, The Optimistic Workplace argues that our best work is the product of a positive environment. Advocating a steward model of management, this eye-opening book reveals how to: - Explore personal and organizational purpose--and align them for astonishing results- Overcome resistance and skepticism from corporate managers pressing for results- Build camaraderie and deepen loyalty among team members- Increase intrinsic motivation- Help your team find meaning in their work- And moreWith practical 30-, 60-, and 90-day plans designed to focus your actions, as well as examples from companies large and small that demonstrate how this people-centric focus has already ignited employee potential, increased innovation, and catapulted many organizations to new levels of performance, The Optimistic Workplace is your complete guide to aligning personal purpose with professional success.